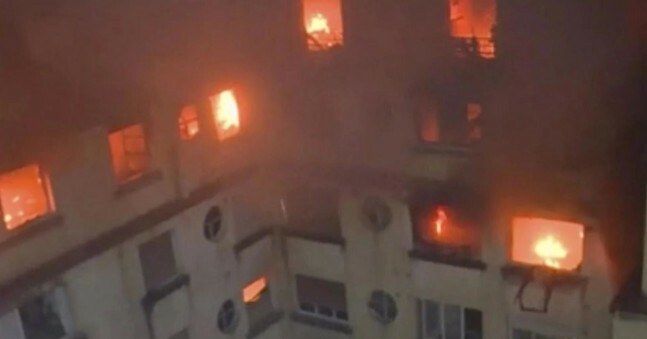 At least 10 people have died and 37 injured in an overnight blaze at an apartment block in Paris. The French police believe the fire was deliberately started by a female resident, according to officials and firefighters onTuesday. A local mayor confirmed that one of the victims is a "young child". Described by one rescue worker as a “scene of incredible violence”, the blaze left at least 10 people dead and around 30 others injured — six of them firefighters, the fire service said. "One person who lives in the building has been arrested. She's a 40-year-old woman who has prior psychological problems," Paris prosecutor Remy Heitz said from the scene on Tuesday where smoke could still be seen rising from the area. "She apparently had a row with neighbours which ended badly and she set fire to the building," he added. “France is waking up with emotion after the fire on rue Erlanger in Paris,” President Emmanuel Macron tweeted.